Are you ready for Guardian TV episode 5? In this episode the band talks about some of their favorite memories of the last 25 years. Don't tune out after the last question, watch until the very end for some bloopers. 1. 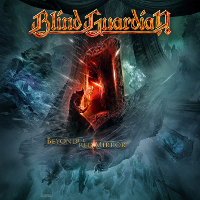 25 years of Blind Guardian - don't you feel old age setting in yet? 2. What kind of memories does listening to the old Lucifer's Heritage demos bring back? 3. If you listened to the "Memories Of A Time To Come" tracks in chronological order where would you say is the greatest developmental leap? 4. 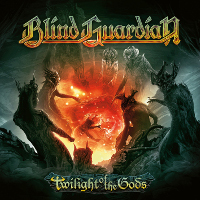 From your point of view, what were the greatest Blind Guardian highlights of the last 25 years? 5. Looking back, are there any things you would do differently in your career? Hansi always has on him on tour his copy of The Lord Of Rings.